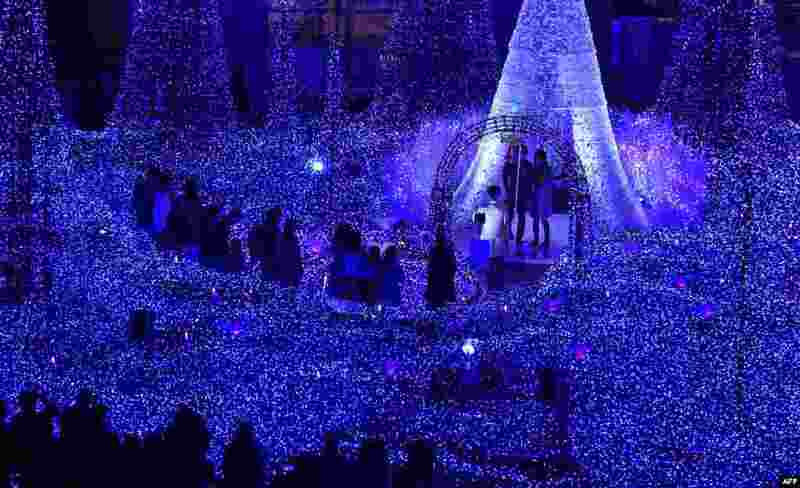 5 People admire illuminations featuring the theme of "Canyon d'Azur" (Blue Canyon) at Caretta Illumination in Tokyo, Japan. 6 U.S. Border patrol agents stands at an open gate on the fence along the Mexico border as Adrian Gonzalez-Morales and his daughter Aileen hug his parents Juan and Martha, as part of Universal Children's Day at the Border Field State Park, California, Nov. 19, 2016. 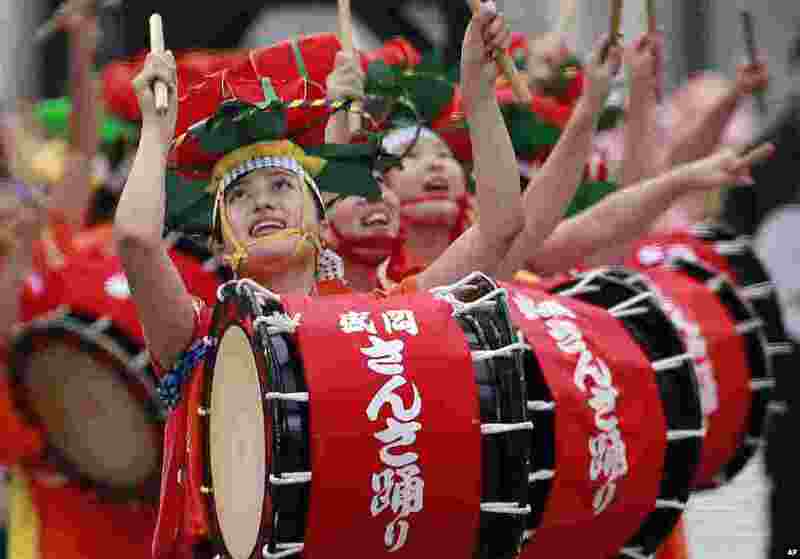 7 Dancers sing and play drums during the Morioka Sansa Festival performance at Shintora Festival on the street in Toranomon business district in Tokyo, Japan. 8 Cosplay actors pose for photos in a glass public toilet to mark World Toilet Day in Changsha in China's central Hunan province, Nov. 19, 2016.